How much car can you afford? Our auto affordability calculator takes more than the monthly payment into account. This tool will help you figure out the total cost of your new vehicle before you go gazing at the glittering new cars at the dealership. Knowing how much you should spend helps you avoid spending your mortgage money or missing out on a nicer or more capable car. A lot of people rightly don’t know how much a $34,000 car will actually cost them. Most of us think about our monthly bills, not tens of thousands of dollars paid over years. This is where the auto affordability calculator is useful. Typing in your preferred monthly payment is a starting point instead of working backward from a car price. This way, you know your price range before you start car shopping. 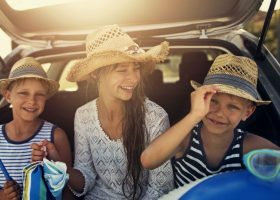 If you’re not sure about your budget, check out this article to figure out how much car you can afford. It’s also important to get preapproved for an auto loan before you go to the lot — just because a car dealer tells you you’re approved for a loan doesn’t mean you should take that loan. The dealer can mark up your loan APR if you get a loan through them, so it’s important that you know what you qualify for directly from a lender. Potential preapproval lenders include your bank, credit union and online lender. LendingTree also lets you fill out one online form and get up to five potential auto loan offers. 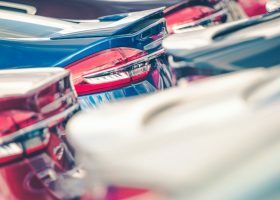 How much car payment can I afford? In addition to entering the monthly payment you can handle, enter the amount of your down payment (if any) and info on your trade-in, if you have one. If you don’t, leave it blank. Select your type of credit score (poor to excellent), your interest rate (or the one you’ll think you’ll get) and how long you want the loan to be. You’ll immediately see how much car you can afford. You can also play around with all of the inputs to see what happens if you gave more or less of a down payment or increased or decreased your payment and term. The input section is where you tell the calculator what payment you want, along with your down payment, trade and loan information. The results from that are broken down in the rest of the calculator: the scale, the total loan cost breakdown and the amortization breakdown. Desired monthly payment. This is how much you want your car payment to be. If you want guidance on how to set a budget, check out this article. Down payment. This is how much money you pay upfront for the car, which reduces how much you borrow and makes your monthly loan payments go down. Trade-in value. This is the value of the vehicle you are selling to the dealer as part of the deal to get your new car. 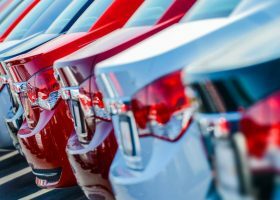 To know what it’s worth so you won’t fall for dealers telling you it’s worthless, look up the trade-in value on a free industry site like Kelley Blue Book or NADAguides. Amount owed on trade. If you don’t own your trade-in car — in other words, you haven’t paid it off and still owe money on it — this is your payoff amount. You can call your lender’s customer service to find out what this is. Credit score. Your credit score is a three-digit number that shows your financial health. The higher it is, the better. A high credit score means to lenders that you’re financially responsible and will pay back loans. Ergo, lenders are more willing to lend you money at a lower interest rate. If you have never taken out a loan before, you may not have a credit score. If you have often missed payments or paid late on bills or loans, you may have a low credit score. If you have paid significant loans and bills on time, you may have a higher credit score. APR. This is what you pay to the lender for loaning you the money. It’s expressed as a percentage of your loan. For more on how you pay interest over time, see Amortization Breakdown below. Loan term. This is how long the loan will last from the time you sign for it until your final payment. Entering all of the above information will give you a dollar figure above a blue dot on a scale with a minimum and maximum amount for the car you can afford. This scale weighs your appetite for debt. Yellow. Willing to take on a slightly more expensive car (but stay more or less within your budget)? Move the slider into the yellow section. You might have to eat out less to make this car payment more feasible. Red. If you put the slider in the red section, that’s an aggressive car price. You may have to eat at home and cancel your Netflix subscription in order to make the payments. Monthly payment. You’ll notice that your monthly payment beneath the scale changes as you adjust the slider. What you put in as your “desired monthly payment” at the top of the calculator is what will show when the slider is in the middle of the scale. Your monthly payment will go up or down as you move the slider so you can easily see the difference in how your payment could change based on the car price, all in a range you could probably afford. Total down payment. This isn’t just the cash down payment you said you could give. It’s that plus your trade-in. No trade. If you put $500 down and don’t have a trade, your total down payment is $500. Loan amount. This is the total amount you are borrowing. It is higher than the car price because you will have to pay taxes and fees. It also includes any negative equity from your trade-in. The numbers here will also change as you move the slider along the scale. Your total payments. If you add all of the payments you would make over the time you have the loan, interest rate and all, this is how much you will pay. Purchase price. This is the price of the car. Interest. This is the total amount you would pay to the lender for loaning you the money, expressed in dollars instead of as a percentage like the interest rate. This part has a graph to show you how much each of your payments goes toward what you owe on the car and how much goes toward what you’re paying the lender in interest. You can hover your mouse over any one month to see the breakdown of principal versus interest for that month. This is important if you want to understand how the loan works, so you know where your money is going, and when. The green (the principal) and the blue (the interest) in each section add up to your monthly payment. As time goes on, the blue amount decreases. This is because the lender likes for you to pay more interest upfront, so the lender gets paid. But you could use this to your advantage. The sooner you pay off the loan, the less interest you pay and the more money you save. If you’re a bigger fan of charts instead of graphs, there’s a chart below the graph with the same information. You can click on the arrow beside the year to see the breakdown for each month. Once you understand how the calculator works, you can then go shopping for a car loan and a car. It’s important to shop around for your car loan as well as your car to make sure you get a good deal on both to save the most money. It doesn’t hurt your credit to apply to multiple lenders any more than it does to apply to one lender, as long as you do so within a 14-day window.